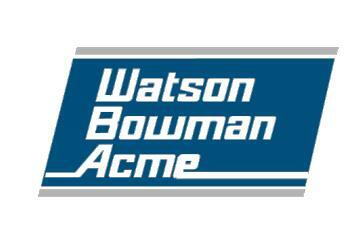 Encore Building Products is proud to be the exclusive Southern California sales representatives for Watson Bowman ACME and Situra Inc.
Encore Building Products has decades long experience working with local and national expansion joint manufacturers, architects, specification writers,building owners, facility managers and engineers and specialty contractors and installers. Our involvement with not only the specifying and design community along with our hands on approach to assisting local contractors and a network of factory trained installers gives us the rare ability to solve complicated seismic expansion joint questions but also gives us the ability to work with our clients to find the best solution for their specific expansion joint application and challenge. Encore Building Products takes a systems approach to solving difficult expansion joint problems and understands the complex nature of thermal and seismic building movement, moisture management as well as the unique nuances associated with many other trades including sheet metal, drywall, plastering, miscellaneous metals, roofing, waterproofing and concrete repair and restoration. No other building product involves so many different trades and areas of compatibility than expansion joint systems. Expansion Joints are recommended to be provided for any one or more of the following minimum conditions. Exterior Expansion Joint Covers can be made of aluminum, steel, stainless steel, brass, bronze, EPDM, neoprene, rubber, foam, silicone, saturated EPDM and sheet metal. Typical applications include parking structure drive aisles, elevator thresholds, pedestrian bridges and walkways, plaza decks and podiums, and exterior walls, roofs and soffits. A common characteristic of exterior expansion joint covers is its ability to manage or eliminate water intrusion into the structure. Interior Expansion Joint Covers can be made of aluminum, steel, stainless steel, brass, bronze, EPDM, neoprene, rubber, foam, silicone, and sheet metal. Typical applications include walkways, corridors, elevator thresholds, pedestrian bridges and walkways, plaza decks , interior wall and ceilings. Interior expansion joint covers tend to be decorative in nature and can come in special finishes and colors. Parking Structure Expansion joint covers and seals require heavier duty and thicker plates. In addition they are often designed to span greater joint openings and carrier heavier vehicular loads. Often these systems are required to incorporate secondary water containment systems and or/water seals. Some expansion joint systems are designed to reduce sound and noise with the use of sound dampening spacers and rubber encapsulated plates. On smaller joint openings (>5”) compression seals and inflatable joint seals are often used. These seals act as effective expansion joint covers as well as water containment seals. Damaged or failing expansion joint systems can sometimes be repaired but it is usually more cost effective to remove and replace the entire system. Restoration work will often involve the repair and restoration of old and damaged concrete, moisture barriers and in some cases, fire blankets. As with new construction, there are interior and exterior restoration projects; each of which require careful assessment and inspection of existing joints, the building structure and the particular requirements of the project. Some waterproofing expansion joint systems can be used without cover plates where as others need to be covered to comply with certain building codes and ADA requirements. Inflatable seals, compressions seals and some pre-compressed foams can be used without the use of a cover plate whereas softer foam seals require a cover plate if pedestrian traffic is expected. Some expansion joint seals act as excellent waterproofing seals. Waterproofing expansion joint seals can be used across planter boxes, foundation walls, podium decks, walls, ceilings, roof decks, and plazas. There are several options for roofing expansion joints; namely, sheet metal, rubber, silicone, aluminum, saturated EPDM and hybrid roof bellows which incorporate single-ply sheet membranes such as PVC and TPO. Expansion Joint Roof covers should be designed as exterior expansion joint systems and consideration should be made to moisture and waterproofing. Compression joints are typically used when lighter pedestrian traffic is expected or when water management is a requirement. Inflatable joint seals are heavy duty neoprene seals that are installed with the use of an air compressor and adhesives. Pre-compressed foams and seals offer design benefits and ease of installation for smaller vertical and horizontal applications. They also offer limited water-containment benefits. Zotes are hardy closed cell foam materials that are UV stable and resistant to many chemicals and moisture. They offer excellent expansion and compression capabilities and are suitable for both interior and exterior applications where water is an issue.